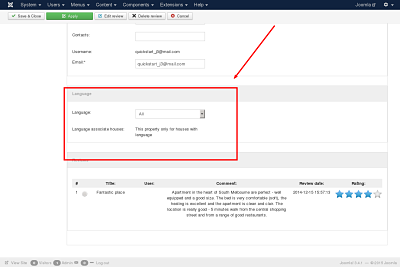 You need use Language associate houses in your component. You need select language for house, which you want to show in selected language. Last Edit: 2015/06/01 07:45 By Taras.